European Workshop on Phosphorus Chemistry , 24-26 April 2019 in Bristol, United Kingdom. Magritek is participating in the European Workshop on Phosphorus Chemistry, 24-26 April 2019 in Bristol, United Kingdom. You’ll get a chance to meet us, learn about our company and we’ll get you acquainted with the Spinsolve – high-performance benchtop NMR spectrometer that offers impressive sensitivity and resolution, it is robust and easy to use. We are looking forward to seeing you at this conference !!! 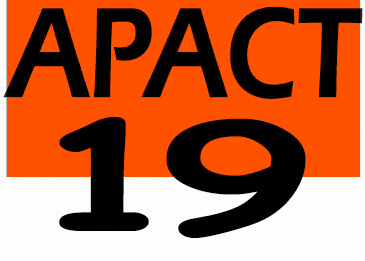 APACT 2019 – March 31 to April 4, 2019 Chester, United Kingdom. Join Magritek at APACT 2019 in Chester,United Kingdom on March 31 to April 4, 2019. Please stop by our booth and talk to our scientists about the capabilities and applications of Spinsolve Benchtop NMR system. Magritek is delighted to announce its participation in the CHEM UK 2019 in Yorkshire, UK from 1&2 May 2019. Please stop at our Booth C24 and talk to our scientists about the capabilities and applications of the Spinsolve Benchtop NMR system. We are looking forward to seeing you at this event!